I’ve had nearly the entire calendar year to internalize the impact of Vin Scully’s retirement. It’s different than when an athlete opts to end his playing career. Kobe Bryant & Derek Jeter received the Kareem Abdul-Jabbar treatment with tours, gifts, roasts, etc. ; others, such as Barry Bonds or Allen Iverson, are forced to abandon their ride into the sunset. Magic Johnson, Barry Sanders & Bo Jackson are examples of retirements that were shocking in their suddenness. Each fantastic playing career carries specific moments over a generation – or if the athlete was particularly transcendent, generations plural – and defines a city, an era, a specific way of playing the game; something that entrenched the athlete in the milieu to the extent that their retirement itself was notable. But for many Dodger fans and Los Angeles natives – and for me, specifically – the career of Vin Scully is inextricably intertwined with Life in L.A. There was Vin when I was doing my homework in Mrs. Saunders class in first grade. There was She Is Gone. . .In a Year that has been so improbable, the impossible has happened. There were the sombreros being thrown to the sky when old friend Pedro Guerrero made the last out (a GIDP) of Fernando’s no-hitter. There was Vin in Spring for Henry Rodriguez’ four-homerun game. Vin was there when I came home from my first JV game as a 14-year old sophomore. It was Vin, as my Dad would kick back on the floor with his Golden Retriever, Doc, the two of them laying with the screen door ajar, letting the dulcet tones of Vinny complement the perfect San Fernando Valley summer breeze. Vinny introduced me to Mike Piazza. 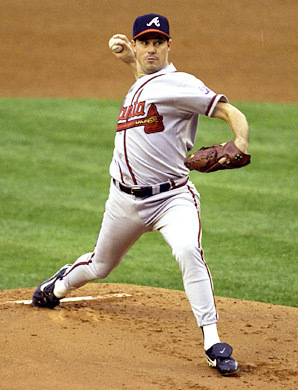 Hideo Nomo. Ramon and Pedro Martinez. Omar Daal. Ismael Valdes. Vinny was serenading me as Eric Gagné, the mediocre starting pitcher morphed into Eric “Game Over” Gagné, still the most dominating pitcher I’ve seen, asterisk or not. Vin was in love with the O-Dog. Vinny ushered in Mannywood. 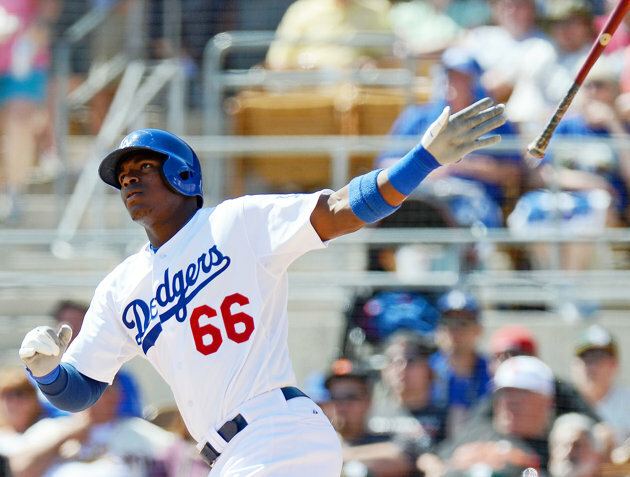 Yasiel Puig became The Wild Horse. 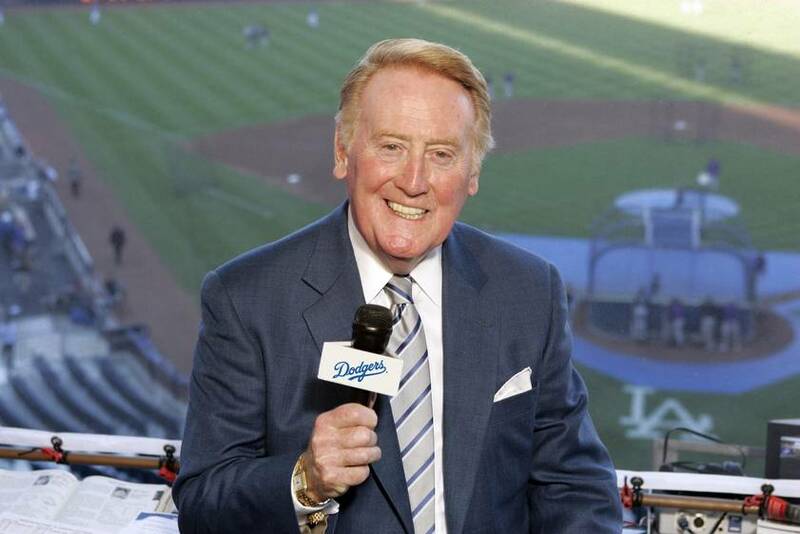 In recent years, Vin was not there for the playoffs; first because of organizational ineptitude in the 90’s and subsequent Fox era, but mostly because of the Business of Baseball, which precluded ‘local’ broadcasters from doing much of the TV postseason work. Also, Vin’s age (the voice is truly timeless; humans, even a Saint, are not) demanded that the rigors of a baseball travel schedule were simply too much and the road games were increasingly narrated by Rick Monday, Ross Porter, Steve Lyons. Or Charley Steiner. Eric Collins. 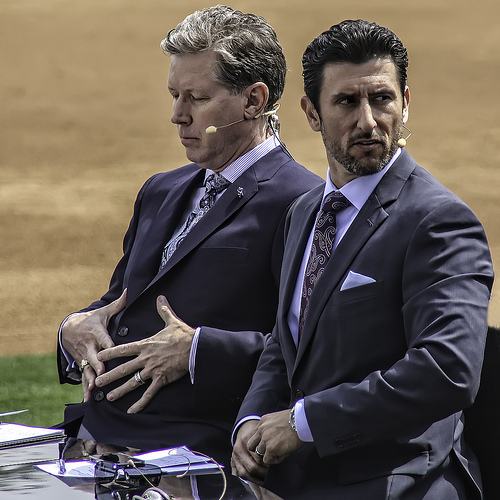 Recently, L.A. legends Orel Hershiser and Nomar Garciaparra have seen more TV work as Vin only works home games and the occasional trip to San Francisco. And Joe Davis, The Man Who Has to Follow in Scully’s Shoes, does a great job – but he’ll forever live with the moniker he’s no Vin Scully. So there’s less Vin now than ever. And that’s okay. I’ve become busier. We all have. My son, Felix, is nearly 3 years old. And besides, “baseball is too slow.” But maybe that’s a good thing? When I do get to hear Vin, which I did about 30 times this season, I’ve flashed back to those serene summer nights in Sepulveda. I’d get off of a three-way call on my parent’s landline, run out to do a cannonball in the pool, careen back in the house, grab some Cap’n Crunch and Get Back to This One. You could always Pull Up a Chair, but if you couldn’t, that was okay. Vinny was going to see you again tomorrow night. I really began to appreciate Vin and think about the dreadful and imminent end of Scully’s magical run a few years ago. I wondered if I’d enjoy Dodger games, or the Dodgers, or honestly, baseball, as much when he was gone. I didn’t want to find out, but knew it would happen. And when Felix was born, I wanted him to be able to hear and recognize Vin’s warm voice and that musical cadence. We sit and listen to games – a few innings, in Felix’s case, and I’m always sure to emphasize Vin Scully. He’s not likely to remember these nascent memories, especially of some old broadcaster, but I’m glad that I did have these years to share, and pass down the tradition. Vin Scully is the narrator of this City I Love. Vin Scully is not just the voice of Los Angeles, he is Los Angeles. He came west as the city was just finding it’s sea-legs, a post-Baby Boom bastion of suburbs and planned communities that required you to have a car. No, really – that was a novel concept in 1958, and it’s exactly why Vinny became Los Angeles. You were, and still are, in a car all the time, and Vinny was painting games nine months out of the year. Until he’s not. And then what? Life goes on. L.A. will be here, Vinny and my Dad will hopefully live well into retirement, and the Dodgers will continue drawing 3 million fans per year. Baseball will certainly move forward. So will I, so will Felix. But it will be different, an impact unknown. There may be a void, there will definitely be a ripple in the fabric of my fanmanship. But I do know that Vin Scully’s retirement will be more poignant and powerful than any I’ve experienced in sports. I sent a letter to Vin during the first Dodgers season after Felix was born. I didn’t expect nor receive a response, and was told that he actually receives more mail than anybody in the organization. Maybe he read it, likely he did not, but the copy is below and the sentiment still holds. Because Vin Scully really enhanced my life. And proud Los Angeles native or not, I’ve never said that about any type of celebrity before. And I certainly haven’t said it about an athlete. I do have a sombrero, but I’m not going to throw it to the sky, Vin. I’m just hoping that I can enjoy and cherish your five remaining telecasts and maybe, just maybe, the Baseball Gods will reward you and the fans whom you’ve impacted with one more improbable October. I just want to reach out and thank you for your presence within the Dodgers organization and the City of Los Angeles. I am a second generation Los Angeles native, and recently had a son (Felix) that will be the third Lovett male to be serenaded by your voice from April to October of each year. You are truly the voice that defines summer and provides the soundtrack to our great city. I am proud to be able to pass on the tradition of ‘listening to Vin’ to my son. In short, your legacy and influence is immeasurable and I cherish each of your broadcasts, and I appreciate your commitment to pulling up a chair and ‘getting back to this one’ in beautiful Chavez Ravine. Enclosed is a picture of the three of us – my father, Stu; my son, Felix & me. Thank You, Sports Illustrated. Vin. I think that Nomar Garciaparra is as a first-year Dodgers color man on SportsNet LA. He was tentative and understated early in the season, but is evolving into an important element of the broadcast. Still a distant third in sheer volume of commentary, he takes cues from Charlie Steiner and is a capable banterer during typical on-air discussion. He also lends expertise as a contemporary (as opposed to an Old-Timer) of players, and is conscious of the viewer’s affinity for the Game, thus his ability to explain without condescending. Bravo. Now about Orel Hershiser. I want to like Hershiser. In fact, I love and will forever cherish what Hershiser brings to my life as a Dodger fan. 1988. The Bulldog. But listening to him in the analyst role for his team, he’s even more didactic than his days doing Little League World Series and later baseball for ESPN. He’s not only condescending, but he makes it clear that he’s teaching you while you’re just. . .trying. . .to watch the game. Orel is cerebral, this is a fact; he’s not intentionally condescending, which warrants tolerance points; but he’s a strain to listen to for nine innings over three cities when the Dodgers travel East without Vin Scully. I’m aware of the Steiner debate and not willing to argue that right now; people despise him because he’s a bit loony or, like me, they love him because he’s Uncle Charlie – but he needs ONE additional voice in the both, not both of these former Dodgers. And unfortunately, Orel has to go. Another point on Nomar: he’s the voice of this team and demographically, this city. He’s a local boy (Whittier/St. John Bosco HS) with an indelible franchise moment (game winner in the back-to-back-to-back-to-back game). He hosted Carne Asada Sunday at Dodger Stadium. His articulate, enunciated vernacular represents the stylings of an informed Angeleno. Pay attention while they’re on the road – he’s an unsung gem of broadcasting. 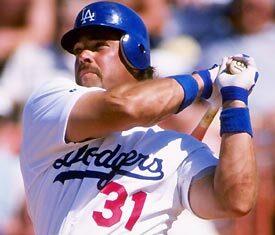 Catcher: Mike Piazza. Never seen a catcher hit like that. Period. I hate to admit it, but Buster Posey COULD be on this list except for his extremely dry personality. Excellent player though. 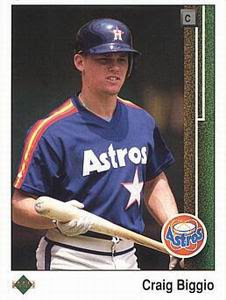 Ironically used to love Jason Kendall until he became the literal singles-est hitting player in baseball. 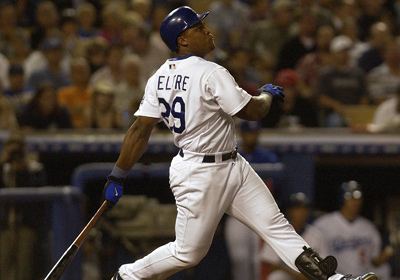 Charles Johnson was a ton of fun but his zero bat grated on me when he was a Dodger. Great arm though. Also Benito Santiago was fun, both with the arm and late career at-bat. 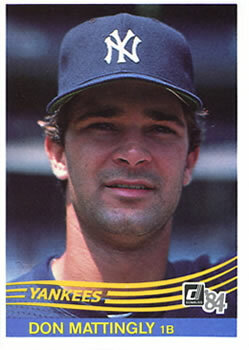 First Base: Don Mattingly. Gamer. Mustache that wasn’t wack. 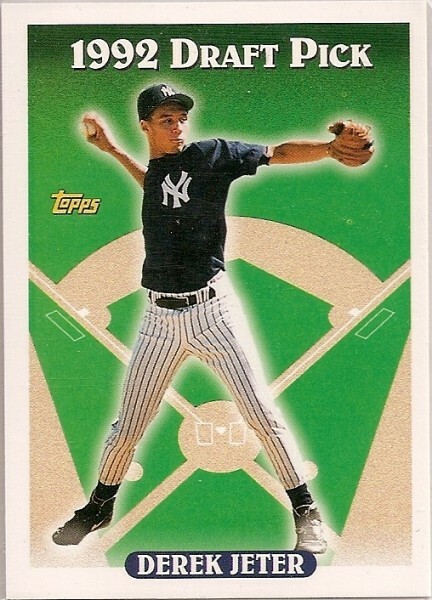 Awesome baseball cards. Looked great in a uniform. 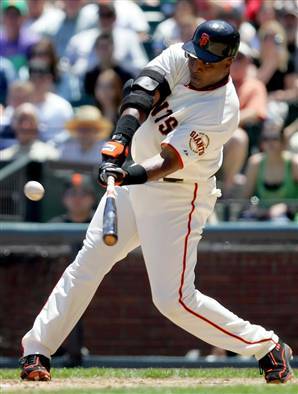 Sweet swing. Manager of my favorite team. Sold. Frank Thomas was just dope. Great, intimidating hitter. I liked Jeff Bagwell at the time, but less and less historically. Go figure. Fred McGriff was lean, dope follow-through, unassuming and just awesome. How do you not love watching Mark McGwire hit dingers, especially that 500+ blast off Randy of all people. Jesus. Mo Vaughn, Cecil Fielder. Prince Fielder is on here too because he shows up every day, loves the game and hits boomers. Second Base: Craig Biggio, Roberto Alomar, Carlos Baerga, Jeff Kent. Shortstop: you’d think this position would be fun. A-Rod pretty much ruined that. And Tejada. And even Nomar. But Derek Jeter is amazing and carries it himself; Barry Larkin is on here for his play but not his persona. Cal Ripken obviously belongs BUT he was fairly boring, sorry Cal. Ozzie Smith and Omar Vizquel were fun, but I’m not a defense-first kind of guy, especially in the era in which we grew up. Rafael Furcal was a LOAD of fun for me, so he’s probably #2 behind Jeter, and Hanley Ramirez is fast approaching. Another 30 bombs – and a title? – this year and he leapfrogs Derek. 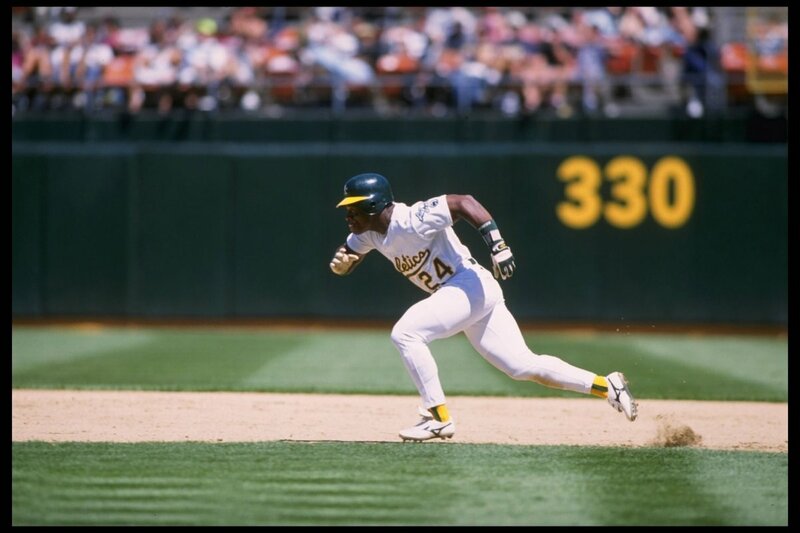 Outfield: Kirby Puckett in center, Barry Bonds in left, Rickey Henderson in right is my dream outfield. Probably my top three favorite players of my lifetime (?) as well. It’s really hard to leave Ken Griffey Jr. out of my starting lineup but otherwise I’d use Rickey as DH and bat him leadoff, move Kirby over to his late-career RF and we’d have the best/most exciting team I could dream of. Otherwise, Tony Gwynn is on the club. 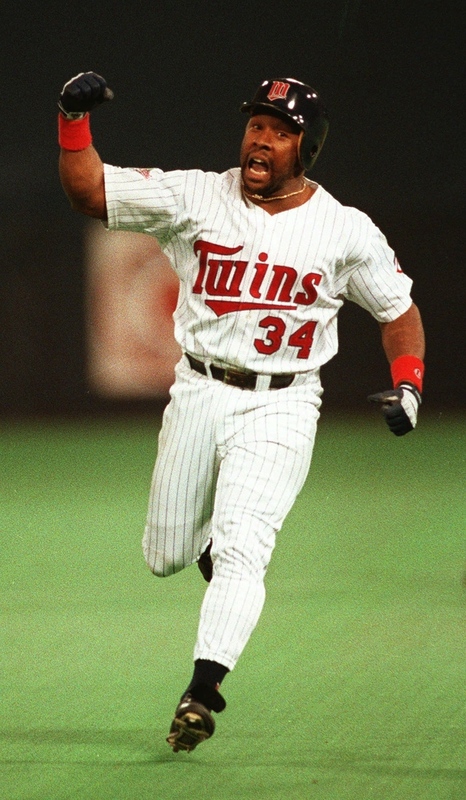 Bo Jackson. Manny Ramirez was SO exciting and dominant for a period that he’s my big bat. Vladimir Guerrero is on the team, really fun to watch in all facets. Ichiro Suzuki was so poetic/artistic at the bat (and arm!!!! ), he’s in. Tim Raines makes the club for sure as well. Darryl Strawberry pre-coke, Eric Davis without a doubt (30/80 club!!!!) I also believe Bryce Harper and Mike Trout are good enough to warrant what may fairly be labeled ‘premature’ inclusion here. 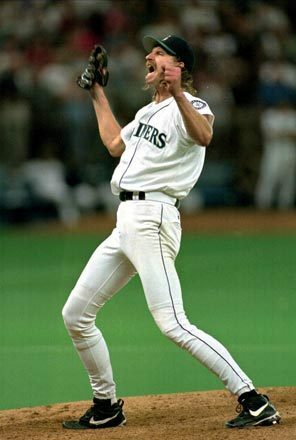 Starting Pitchers: Randy Johnson, Pedro Martinez, Greg Maddux are guys I’d pay to watch pitch from now through eternity. In fact, I don’t think you can beat my club with those guys throwing every three days in my three man rotation (!!!!). Seriously though I have to include Nolan Ryan, Clayton Kershaw, Fernando, Hershiser, Kevin Brown, David Cone (who I like more post-retirement), David Wells (!!! 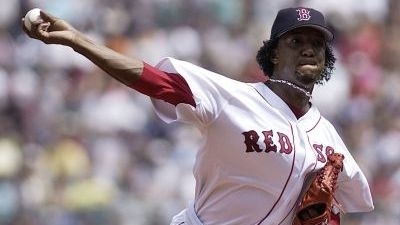 ), Felix Hernandez, Tim Lincecum, Barry Zito and pre-coke Doc Gooden. I really enjoy watching Adam Wainwright pitch but he kills the Dodgers so I’ll wait to include him formally, and though it might be premature, Jose Fernandez has some of the best ‘stuff’ I’ve seen since my three aces that I’m going to throw him in there. 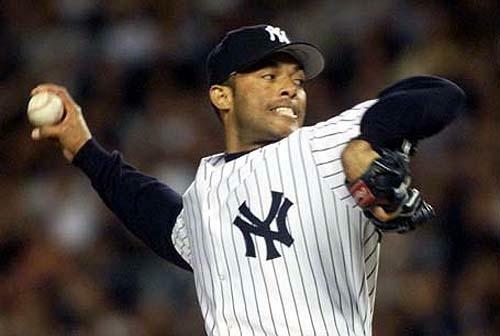 Closers: This list starts with Dennis Eckersley, continues to Eric Gagne and closes out appropriately with Mo Rivera. 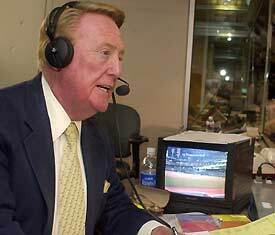 And of course, announcing any and all games would be the incomparable Vin Scully. 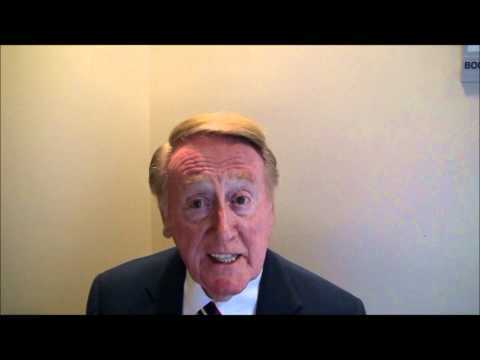 – Vin Scully, tonight after Yasiel Puig’s grand slam. average of 4.7 runs per BALLGAME today. Lowest for a full day (min. 7 games) since May 11, 1983.
a good infotweet courtesy @espnstatsinfo: A recap of the day’s pitching and how it – and the game with the most runs – rewrote the Opening Day record book. http://es.pn/I0jIB7. sidenote(s): Matt Kemp. Dodgers. Magic. Vin Scully. Awww yeah, it’s back!! !